At the young age of 19, Natriya Chun has quickly risen to stardom at lilspace with her creative ideas and hard-working attitude. Natriya and I have had some inspiring conversations around the lilspace mission of enhancing relationships with the people we love and with ourselves. 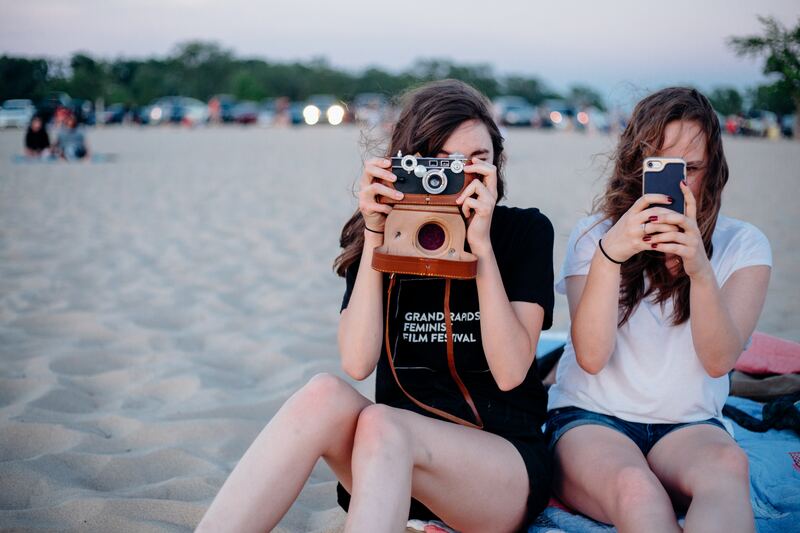 We are two women from two different generations both struggling to have a more mindful relationship with our smart phones. Natriya wrote in response to my blog post about travel and technology. When I read Kim’s article about traveling in the here and now, I couldn’t get this image out of my head…Here’s the picture: a 19-year-old girl, hiking back down Mt. Arashiyama, phone out, and clearly feeling lost. Last summer, I backpacked around Japan by myself. On one of my trips, I found an interesting hike to see the macaque monkeys in the Arashiyama prefect of Kyoto, Japan. I looked up the Iwatayama Monkey Park, set my directions in Google Maps, and off I went. During the hike after seeing the monkeys on top of the mountain — spur of the moment — I felt the impulse to check on social media (like many do on peaceful hikes in a foreign country to appreciate nature). But when I tried pulling up Instagram… nothing was loading! Confused, I stopped in my tracks and kept trying to load other apps. None of my apps were loading. My Internet wasn’t loading. I actually had used up all of the 4 GB that I loaded onto a SIM card. Cautiously calm, I looked to check Google maps on my directions back to my hostel — and of course, it wasn’t loading. I didn’t have the directions to go back to my hostel. I hadn‘t thought of downloading the area on Google maps beforehand, my phone was on low battery, and as someone who was horrible with directions, let’s just say I felt stressed. In that moment I realized how truly reliant I was on technology to get me through life. I am also more than aware that this is such a millennial “thing”. I had to use the traditional, outdated, slow version of Google maps: an actual map I grabbed at a liquor store nearby. I’ve never looked and truly used a paper map before, and if I hadn’t run out of data, I would never have had the chance to find myself learning something new. It took some asking around, landmark spotting, triple-checking with other tourists that passed by in order to confirm that I was going in the right direction — but miraculously, I was able to safely get back to the hostel. In this modern day and age, people carry so much in the palm of their hand. And with that, comes the constant struggle of being tied down by the need to stay connected. By using a paper map on the way back down the mountain, I was able to appreciate Kyoto so much more. I was able to take in my surroundings, stop by little vista points, and visit shops that I wouldn’t have noticed if I was too wrapped up in looking down at my phone. The trip back became much more meaningful in a way that I can’t describe. This newfound mindfulness so early in my trip helped me appreciate the rest of my solo backpacking adventure in Japan. I would people-watch in airports instead of finding an electrical outlet and I would try to have meaningful conversations with other friendly strangers. I will never take Google maps for granted again!! Kim first became aware of the problem that mobile devices presented when she found herself in the bathroom of a yoga studio reading her emails instead of pressing her hands in down dog. In between anxious impulses to check her phone, the idea for lilspace was born. With her 25 years experience raising money and connecting people to non-profit causes, Kim began to focus on how to encourage those around her to put away their phones and be in the moment. 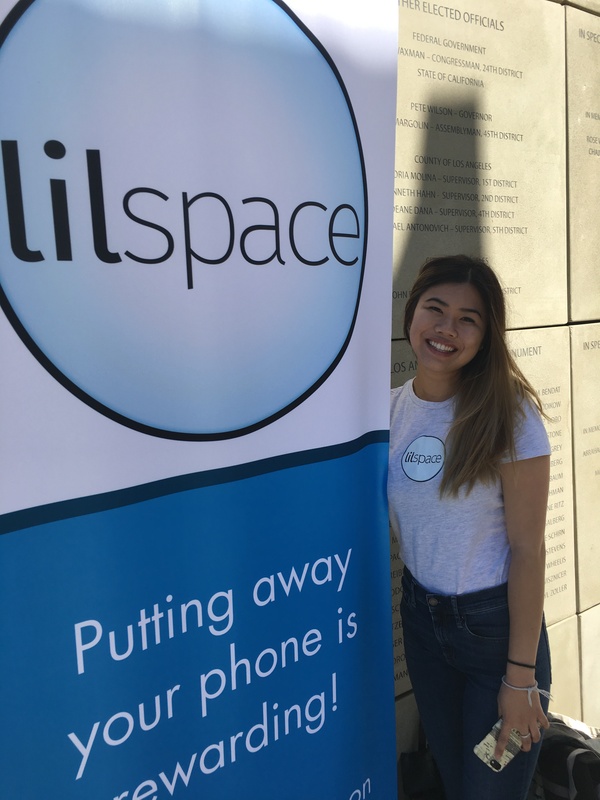 Lilspace is positioned at the center of mindfulness and social impact, developing mutually beneficial, strategic partnerships between businesses and non-profit organizations. When Kim puts away her phone, she loves to spend time with her husband + 2 adult sons, doing yoga and traveling.